Banja Luka (Cyrillic: ???? ??? ?, ) is the second largest city in Bosnia and Herzegovina after the capital Sarajevo and is the largest city of the Republika Srpska entity. Traditionally, it has been the center of the Bosanska Krajina region, located in the northwestern part of the country. It is home of the University of Banja Luka, as well as numerous state and entity institutions of Bosnia and Herzegovina. The city lies on the River Vrbas and is well known in the countries of the former Yugoslavia for being full of tree-lined avenues, boulevards, gardens, and parks. According to the 2013 census the Settlement of Banja Luka has 150,997 inhabitants, while the City of Banja Luka, which represents Banja Luka´s wider area (municipality), has 199,191 inhabitants. The name "Banja Luka" was first mentioned in a document dated 6 February 1494, by Vladislav II. The name is interpreted as "Bans meadow", from the words ban ("a medieval dignitary"), and luka ("a valley" or "a meadow"). The identity of the ban and the meadow in question remain uncertain, and popular etymology combines the modern words banja ("bath" or "spa"), or bajna ("marvelous") and luka ("port"). A different interpretation is suggested by the Hungarian name "Lukacsbanya", i.e. "Lukes Mine", which is also the meaning of Slovak "Banja Luka". In modern usage, the name is pronounced and usually declined (u Banjaluci) as one word, and often written as such; the citizens reportedly prefer the more correct form with inflected adjective (u Banjoj Luci). Banja Luka covers some 96.2 km2 (37.1 sq mi) of land in Bosnia and Herzegovina, on the Vrbas River. The city is located at 44.78°N 17.19°E? / 44.78; 17.19. Banja Lukas downtown is at 163 m (534.78 ft) above sea level, surrounded by hills. The area around Banja Luka is mostly woodland, although there are mountains a little further from the city. The city itself is built in the Banja Luka valley, which is located at the transition between high and low mountain areas. 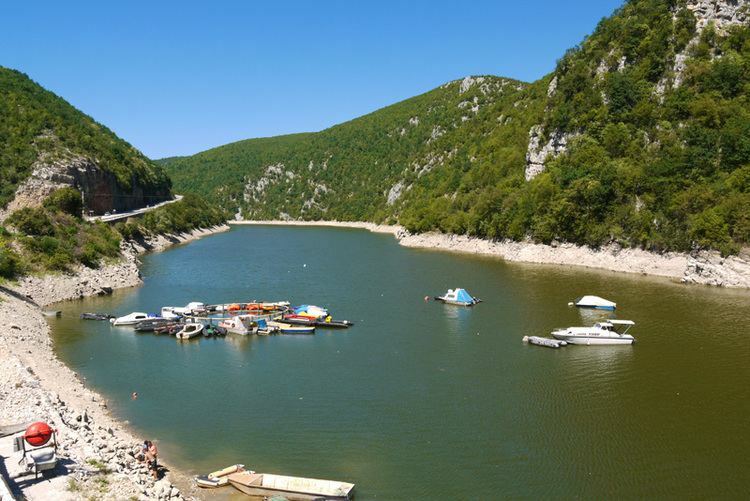 The most notable of these mountains are Manjaca (1,214 meters), Cemernica (1,338 meters), and Tisovac. These are all part of the Dinaric Alps mountain range. The history of inhabitation of the area of Banja Luka dates back to ancient times. There is a substantial evidence of the Roman presence in the region during the first few centuries A.D., including an old fort "Kastel" (Latin: ) in the centre of the city. The area of Banja Luka was entirely in the kingdom of Illyria and then a part of the Roman province of Illyricum, which split into provinces of Pannonia and Dalmatia of which Castra became a part. Ancient Illyrian maps call the settlement in Banja Lukas present day location as Ad Ladios, a settlement located on the river Vrbas. Although the city itself was not directly affected by the Bosnian war in the early 1990s, its economy was. 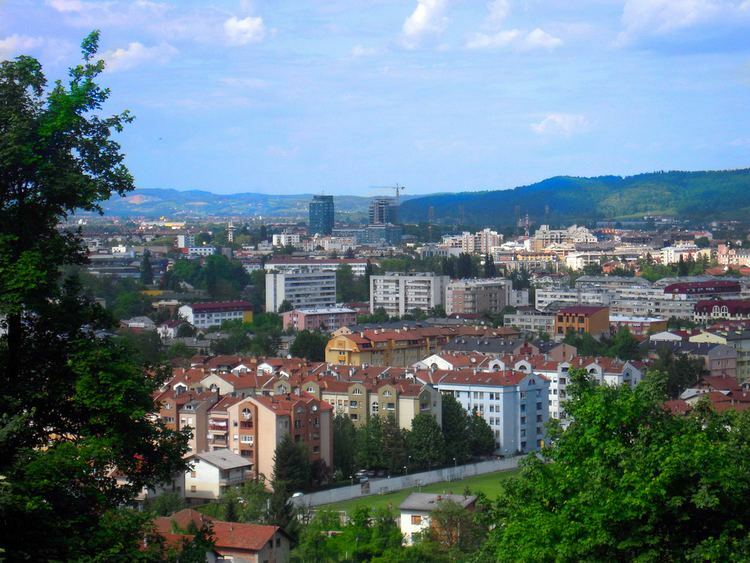 For four years, Banja Luka fell behind the world in key areas such as technology, resulting in a rather stagnant economy. However, in recent years, the financial services sector has gained in importance in the city. In 2002, the trading began on the newly established Banja Luka Stock Exchange. The number of companies listed, the trading volume and the number of investors have increased significantly. A number of big companies such as Telekom Srpske, Rafinerija ulja Modrica, Banjalucka Pivara and Vitaminka are all listed on the exchange and are traded regularly. Investors, apart from those from Slovenia, Croatia and Serbia, now include a number of investment funds from the EU, and from Norway, USA, Japan and China. 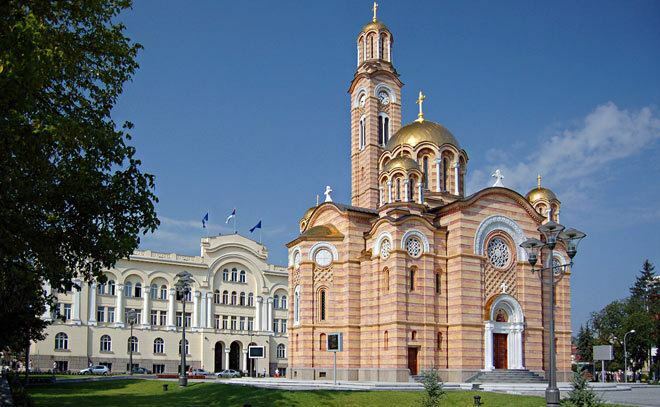 Due to its long history, Banja Luka is rich in culture. There are several museums including the Museum of Bosanska Krajina, the Ethnographic Museum established in 1930, and the Museum of Modern Art of Republika Srpska which is also called MSURS the Museum of Contemporary Art. Banja Luka is also the home of the national theatre and library, both dating from the first half of the 20th century, and of numerous other theatres. The headquarters of the Archives of Republika Srpska is situated in the building known as Carska kuca or Imperial House, build around 1880. It has been in continuous public use longer than any other structure in Banja Luka. One of the most famous cultural sites in Banja Luka is the cultural centre of "Banski Dvor" (Halls of the Ban), built in the 1930s as the residence for the Bans of the Vrbas Banovina. It is a representative building in the very centre of the city housing the National Assembly along with a concert hall, gallery, state television, and a restaurant. Most of the main cultural and political events nowadays take place in the building. The relatively poorly preserved fortress "Kastel" is found in the city centre. 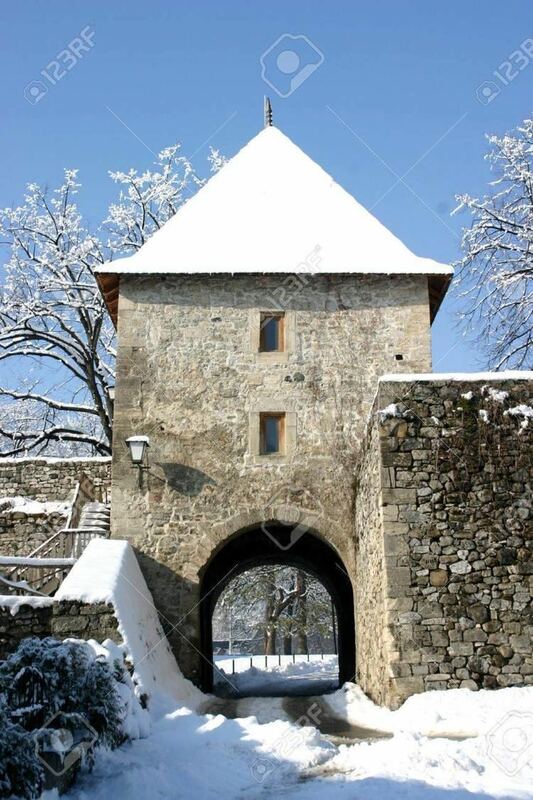 This mediaeval castle is one of Banja Luka’s main attractions. Located on the left bank of the Vrbas river, it gives a specific charm to the city. During the summer, music concerts take place in the fortress. In the city there are many Cultural Artistic Associations. The oldest is CAA "Pelagic" (founded in 1927), one of the oldest institutions of this kind in Bosnia and Herzegovina.